Namrata Shirodkar brought in her 47th birthday with an intimate celebration with her family and old friends from her days as a model in Mumbai. 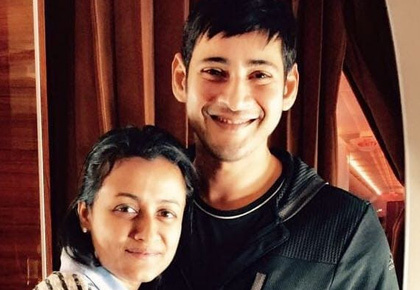 Her superstar hubby Mahesh Babu missed being with Namrata as he was away for work, but he sent her a heartfelt message on Instagram. 'Happy birthday, My sweetest love. Thank you & Love you for everything that you mean to me', Mahesh wrote. 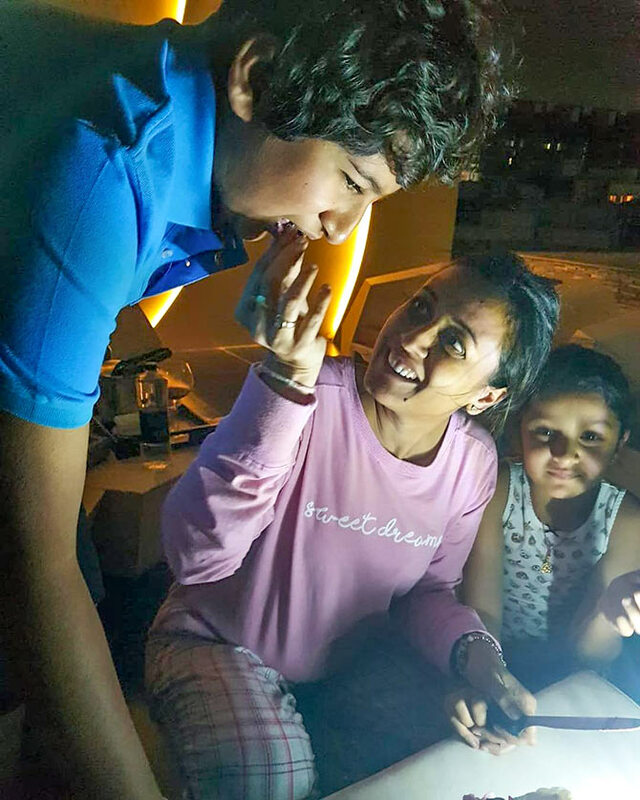 Namrata shared pictures of the celebrations with her children Gautham and Sitara. She captioned them: '#birthdaynight with family and friends #timestocherish #pyjamaparty#quietevenings #homevibes'. 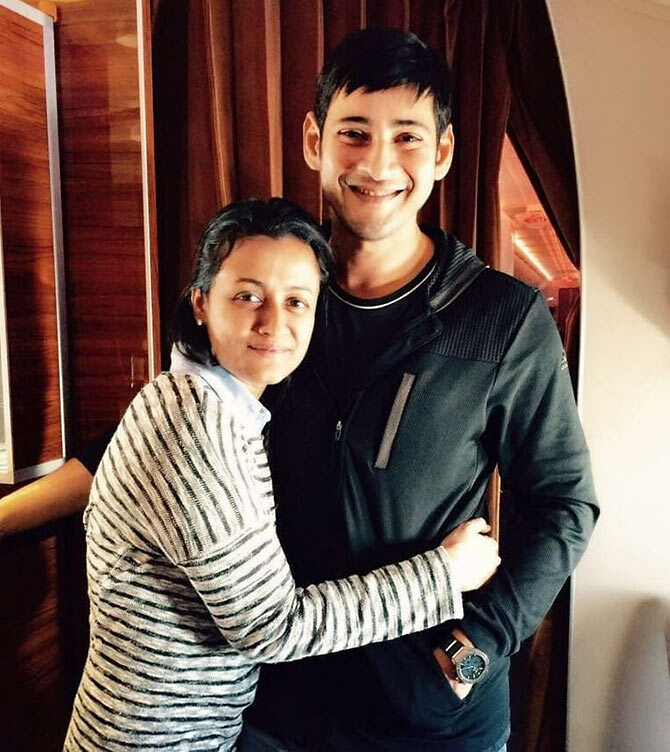 In the 14 years of their marriage, it was the first time Mahesh was not with Namrata as she turned a year older on January 22. 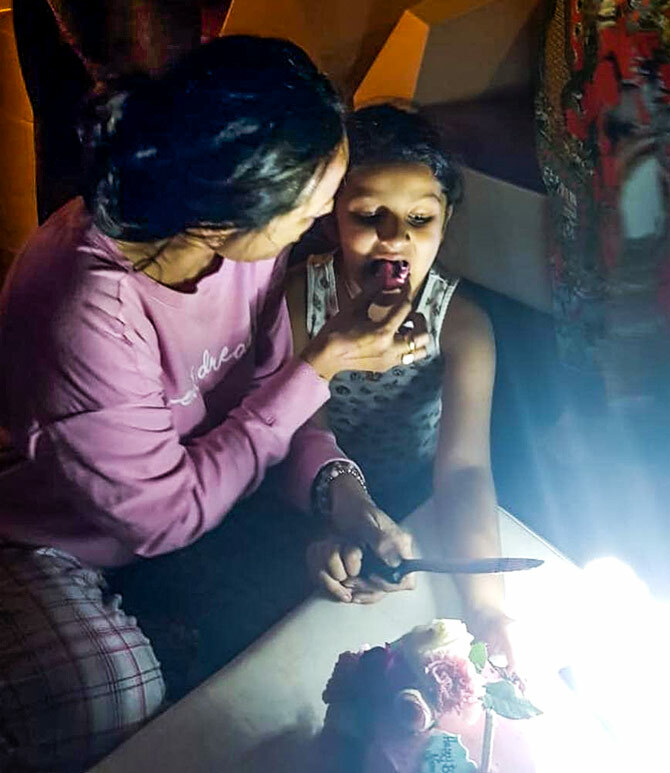 "It couldn't be helped," sighed Namrata from the Taj Falaknuma Palace where she brought in her birthday with her closest friends. "Mahesh had no choice. His film Maharshi is on the verge of release," Namrata tells Subhash K Jha. "There was no way he could get away from the final lap of shooting for a day. Nor could I fly to him since our son's exams are on." "I can't behave like a newly married bride and ask him to fly down to be with me for the day," Namrata adds. "It is okay. We will have our own belated private celebration later." Cheering up, she says, "My five 'forever' friends, all from Mumbai, flew down to make this day special for me. They have been friends for years and years." "I never had any close friends in the Mumbai film industry when I was working there. I don't have any in the Andhra film industry. I think it is important to have a group of non-filmy friends. They keep you stable and sane." Her birthday wishes? "Please pray that Mahesh and I remain happily together for all times to come, and that our children grown up with the right values."